Important: WordPress 5.0 introduces Gutenberg as default editor. The Shortcodes Editor will continue being available on Classic Editor block. Anyway, GamiPress already includes a block version of each shortcode. 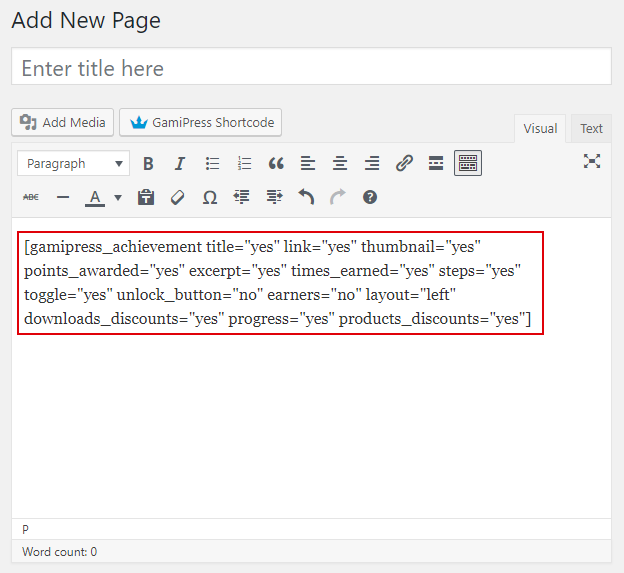 On every content editor, you will see the “GamiPress Shortcode” button. 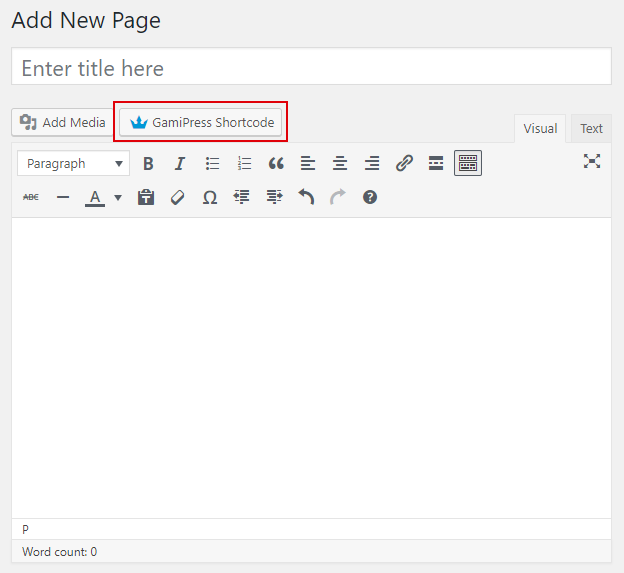 Clicking on this button will make appear a the Shortcodes Editor, a tool that will let you easily setup any GamiPress shortcode through an editable form. 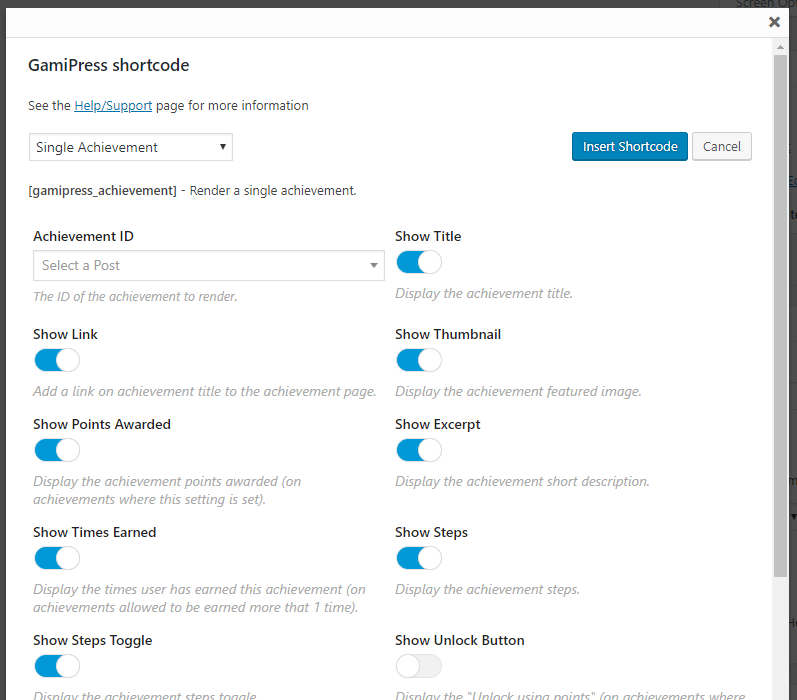 Through the dropdown from the left side you will be able to navigate through the different GamiPress shortcodes. In addition, official add-on’s shortcodes will be automatically added to this dropdown. After edit the form with the parameters you want, click on “Insert Shortcode” button. As you can see, the shortcode will be inserted on the content editor. 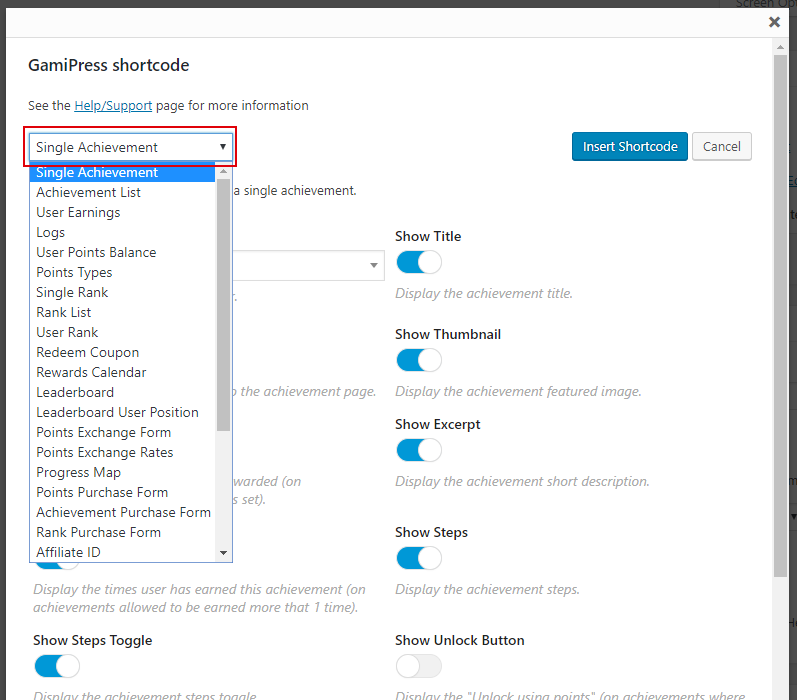 You will find the Disable Shortcode Editor setting on your WordPress admin area navigating to the GamiPress menu -> Settings -> General tab.